Discussion in 'Henson People' started by MrBloogarFoobly, Jan 28, 2013. We have a title. It’s Jim Henson: The Biography. Dignified and straight to the point. But I’ve got another announcement for you, too. Jim Henson: The Biography is now available for pre-order over on amazon.com. There’s no cover for it yet — everyone’s still working on that part — but the listing is up both at amazon and Goodreads. You can pre-order it on amazon here, and see it on Goodreads here. I’m fairly certain it’ll show up on other sites shortly, so if you do your ordering from independent book stores, stay tuned. DrDientes, Muppet fan 123 and Hubert like this. Yes, yes! Woohoo! I'm so excited for this release, I really hope it reveals some more stuff about Jim's early life as well as different aspects not as often explored throughout his career. Great news! Can't wait to get it and add it to my Jim Henson biography section in my personal library shelf. It's strange that there hasn't been many Jim Henson biographies out in great detail. Most were released for young school readers. The only ones that were released as detailed biographies The Works, Muppets & Men and The Art of The Muppets. But it's great that there's a lot more books about Jim Henson that came out within the recent years like Bernie Brilstine's Where Did I Go Right, Caroll Spinney and Kevin Clash's documentries, Memors of a Muppet Writer, Sesame Street Unpaved, Street Gang, Sesame Street 40 years book, And of course Jim's Red Book, Sketches and Doddles (documenting Jim's original artwork for The Muppets and other artwork) and It's not easy being green and other things to conciser (I think a lot of the quotes were from a book that Jim was involved in during the 1980s but the book was never published, plus quotes from other sources like interviews and such). All of his research was done with the Henson Archives, Karen Falk, the Henson family, and the performers. I don't think there will be many inaccuracies, if any. Muppet fan 123 and mupcollector1 like this. It's amazing how many new books have came out within the recent years. I just hope that someday the other film documentaries will see the light of DVD. I personally thought that the CNN People Profiles was the best one I've seen right next to The World of Jim Henson (I own the VHS of that now). 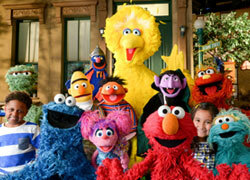 I think the A&E Sesame Street Documentary is DVD on Demand / createspace on Amazon now. It's totally on my wish list Doesn't Viacom own Sesame Street Unpaved (the special) since it aired on Noggin or does Sesame Workshop own it? If they do, it would be great to see as a special feature on Sesame Street Old School vol 4. Yeah, The World of Jim Henson was great, but like a lot of Jim Henson biographies currently available, they are rather evasive about who he actually was. We know he was a brilliant artist, quiet, all the rest of it, but we don't really get a human portrait, do we? muppetlover123 and zns like this. We know he was a brilliant artist, quiet, all the rest of it, but we don't really get a human portrait, do we? I totally agree with you on that. Lots of books don't really give too much detail of Jim's lifestyle. Jim had a very wealthy lifestyle and he'd like traveling a lot. Esspecially with his family and fellow employees. He'd throw parties for his company from time to time as well weither at the Waldorf, costume balls, or even as simple as a company picnic at the New York park. Though Jim usually said how he always liked to keep his family life private, sometimes we hear some very wonderful stories from time to time. This is one of my favorites. As for his life at work, Jim loved to work. As he quoted once "It's as satisfying as enjoying a good meal." Like lots of true artists, Jim cared about his art deeply and thought very carefully when making decisions involving marketing and products to help income his company. Although he had a strong vision with a lot of his work, he loved collaboration. "Some people might think of it as redicuious optimism but it's always worked out for me." Within my current research, I remember Jim mentioned in an interview which I believe is in an article on Muppet Central that Jim liked reading the Seth Speaks books series. Ironicly I study and practice Law of Attraction myself since the summer and it's strongly connected especially people like Abraham Hicks. I studied and practiced Law of Attraction since the summer and it's really cool. It's hard to explain in a simple sentence but basically it's the philosophy, science and spirituality of positive thinking. And how one can achieve and create the life they always wanted as long as you focus on it and believe in it. 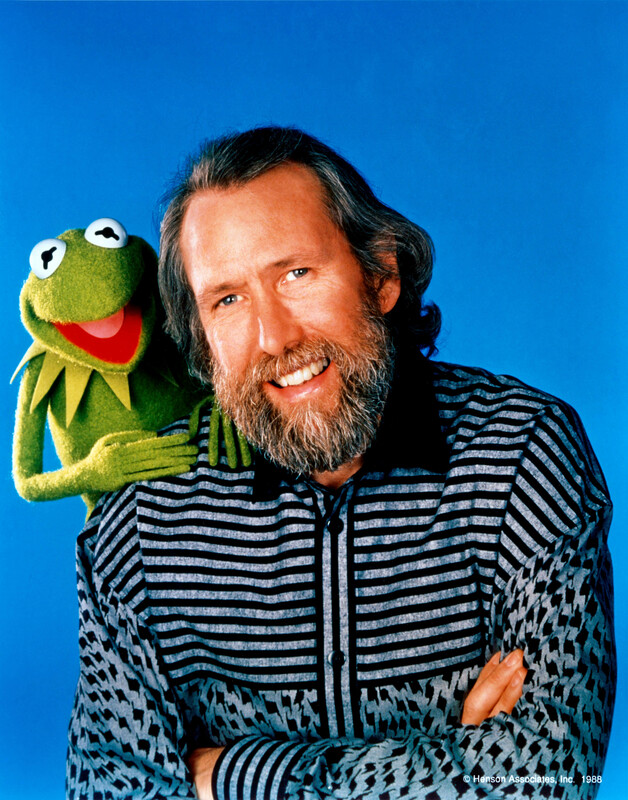 Though I think the most interesting thing when doing research on Jim Henson is how much I can relate to him. I've studied Jim Henson since I was a kid. I still remember when I first discovered who he was. I was very small, I went to a Sesame Street Live show "Sleeping Birdie". And when you went to the show as a kid, you would get this big activity book. As I looked through it and seen the last page. "That's Kermit but who's that bearded man next to him ?" This is the very picture I remember. So I guess it was part of my life's journey to discover who this guy was. And sure enough, he became and still is my #1 hero. Right now I am very curious as to who is going to do the narration for the audio version of the book. Also, I would especially like to see a personal review from Frank Oz. I loved his response to Michael Davis' book Street Gang: The Complete History of Sesame Street. It's amazing how many new books have came out within the recent years. I just hope that someday the other film documentaries will see the light of DVD. I personally thought that the CNN People Profiles was the best one I've seen right next to The World of Jim Henson (I own the VHS of that now). I saw the CNN People Profiles on YouTube recently (for the first time since its original broadcast in 1999, for some reason I was unable to record it), and it feels very rushed. At the beginning it talks quite a bit about his childhood before getting to clips and coverage of his work, the section on Sesame Street seems to be the longest, the section on The Muppet Show seems long enough though not as long as the SST section, and after that it tends to be rushed, only showing the bicycle scenes from the movies, a little of The Dark Crystal and Labyrinth, and finally coverage of Henson's death, with no mention of Fraggle Rock* or The Jim Henson Hour (I would have happily done without it showing footage from The Wizard of Oz, which he didn't perform in, in order for it to show more clips from what he's actually worked on). 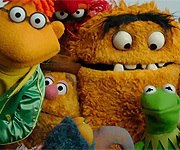 Though to be fair, the People Profiles documentary had to squeeze in commercial time, while Henson's Place and The World of Jim Henson were originally broadcast without commercial interruptions and were able to cover more of his work (and The World of Jim Henson is 90 minutes long as opposed to an hour). *I don't remember seeing any Fraggle Rock footage during the original broadcast, and when I watched it on YouTube I was surprised to see the lack of it, but I wouldn't be surprised if the person who uploaded it on YouTube cut out any Fraggle Rock footage, since Lionsgate was known for removing videos with Henson-owned content that Lionsgate had the video rights to. I agree. I thought it seemed a bit rushed as well. But then again, CNN obviously had to squeeze in as much as they could for 60 minutes. As for Fraggle Rock clips, they didn't show any. I have a copy of the special on DV-R.
An official synopsis has just been given on the book as well as advance praise. Now all we have to wait for is the cover art and finding out who will do the narration for the audio CD. mupcollector1 and MrBloogarFoobly like this. I hope there will be an audio book version too. I have Street Gang on audio book as well as "It's Not Easy Being Green and Other Things To Consider". next I need Bernie Brillstine's "Where Did I Go Right" on audio book. Just read the synopsis. Looks like it's going to be the untimely biography. I can't wait to get my copy. I'll probably end up buying the kindle version as well. I'm going to put this right at the very top of my Christmas list this year. We also have more details on the audio-book version as well. The person telling the story is someone named Kirby Heyborne. I don't know much about this guy and personally I was hoping it would be someone involved in Jim's life. But other than that, we've got more details and less than 4 months until it comes out. Super excited. I'm still super excited about this book, but that cover looks like a seventh grader who just learned photoshop made it. Just 'cause it's minimal? As Jim said, "Simple is good." I think it's fine; that's always been a wonderful picture. JonnyBMuppetMan and jvcarroll like this. There are other ways they could have gone with the cover, but this is one of my favorite Jim Henson images. Plus, there's no clumsy Photoshop stamp tool used to erase Ernie! They could have found some creative ways to splash some color into the black and white bits, used a different font or rendered the entire composition grayscale, but I like it! Simple. Clean. With a splash of color. This photo represents Jim at his most vital. I approve. DrDientes, Muppet fan 123 and Aaron like this. No, not because it's minimal. I'm all for simplicity. I raise you Henson's "Simple is good" with Mr. Rogers' "Simple and deep is better than shallow and complex!" Rather, I dislike it because it's a poor and rather lazy, slapdash design. Henson had a great sense of style and design (just look at any of the posters he designed in college, or his pitch documents) and I don't think this cover is worthy of that legacy. But hey, one goon's opinion. I don't think we should be too worried about the cover to be perfectly honest. Whatever is written in the book about Jim and his amazing life is what truly counts. It seems as though Brain Jay Jones has been very respectful to the Henson family and organization when he took on this project. I'm not trying to get too far ahead here, but I am sure that everything here, both the book and audiobook, will definitely be worth the wait and the money.